Corelle Butterfly Gold saucer. 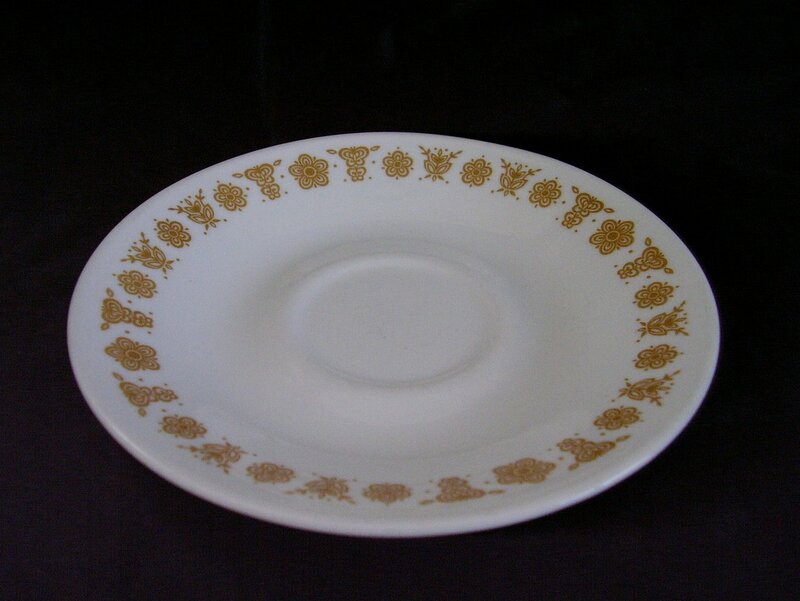 Introduced in 1970, Corelle Butterfly Gold pattern has now been retired. Microwave and dishwasher safe. In very good used condition, it has no cracks, chips. Corelle Butterfly Gold saucer. 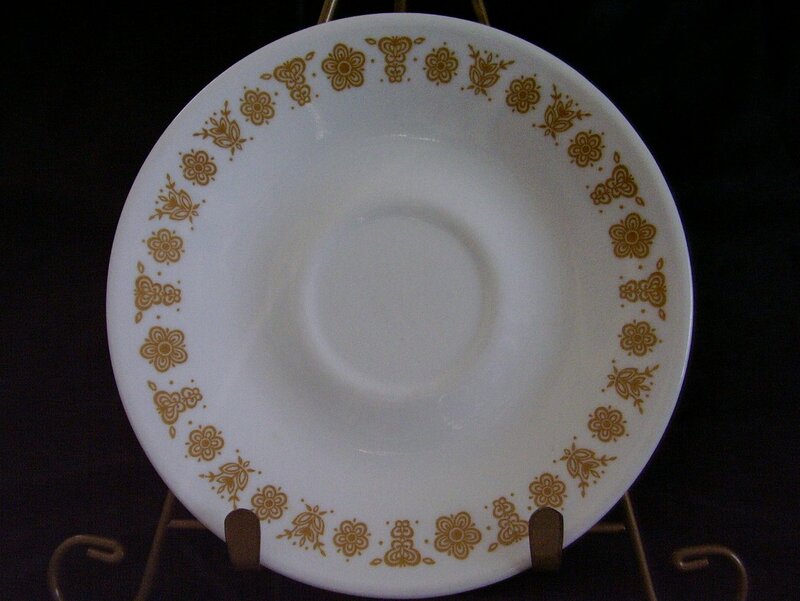 Introduced in 1970, Corelle Butterfly Gold pattern has now been retired. Microwave and dishwasher safe. In very good used condition, it has no cracks, chips. Decals are bright, shiny and intact. A couple of faint marks. Measures 6 1/4 inches in diameter. There are extras available.